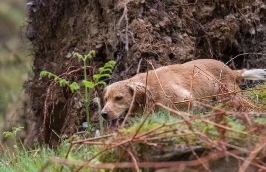 Building on the foundation skills already acquired, the training starts to concentrate on developing the dogs hunting skills through the use of ground scent, effective hunting patterns, wind direction and correct handling. Gunshot is carefully introduced and the dog trained to respond by ‘dropping’ or sitting. 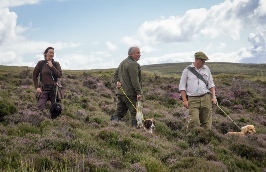 Retrieves become a little more complex with the introduction of ‘memory’ and ‘blind’ retrieves over varying distances whilst handling skills are further refined through the use of hand signals to give the dog directions. 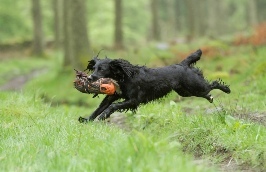 Fur and feather game is also gradually introduced so that dogs become familiar with the different textures and weights they will be expected to retrieve. Whilst all these new elements are being practiced the basic skills will continually be reinforced by the Trainer to ensure a steady and cumulative progress is maintained.